Inspiring Teachers at Valencia Middle School! Being a digital learning coach, this year I have been fortunate to be involved in all elementary, middle and high schools for the Los Lunas District. I have especially enjoyed the rollout at the middle schools and the possibilities happening. 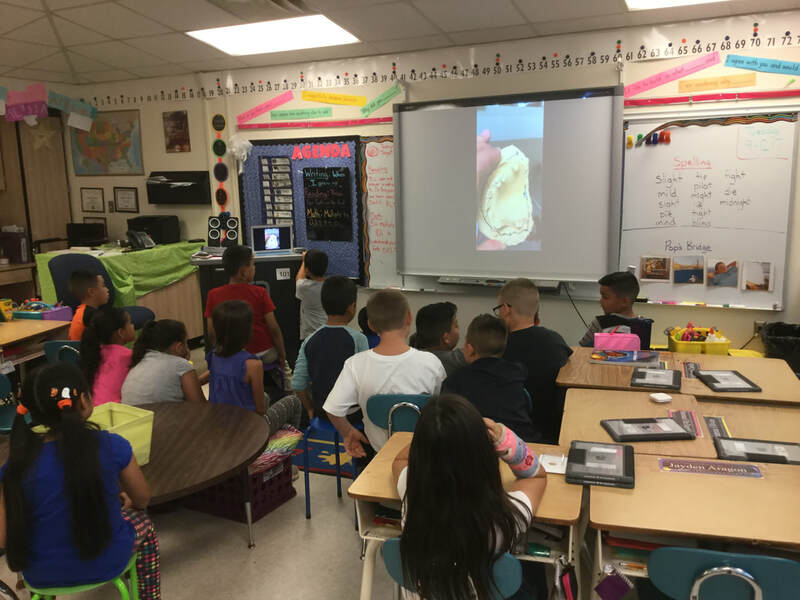 What an amazing experience students had when augmented reality creation was introduced. Using the 6th Generation iPad, middle school students were in the middle of their civilizations unit. The assignment was to create their own town with specific requirements. The choice was given to build some kind of realistic model. This year a group of students used the AR MAKR app to build that town right in their classroom! They created images, shapes and drawings in Keynote and transferred them to the AR MAKR app. Next they were able to record and publish as a video to share. Some even had time to create their own background music on Garage Band. Since the "Hour of Code" was a big push nationwide, it became a huge interest of mine as well as hobby. I got invited into a third grade classroom to model how to connect coding into the curriculum. 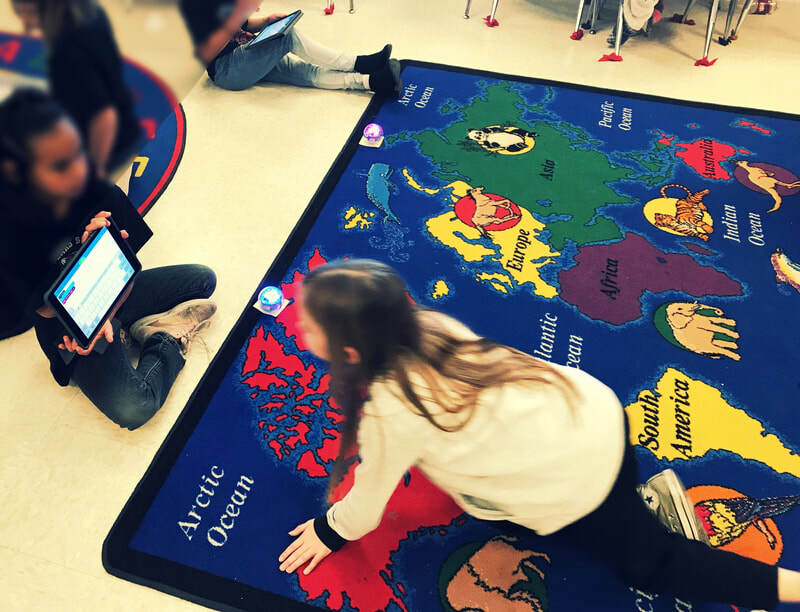 I took this opportunity to do "Coding with Multiplication," "Retelling with Dash," and "Santa Around the World" using Spheros and Dash robots. Students highly enjoyed this hands on experience. I was amazed to hear the vocabulary of using the words factors, product during the multiplication coding. The problem solving skills were amazing and students wanted to succeed beyond expectations. This is a must do! Middle School students are in the process of creating eBooks, redesigning the book/movie "A Christmas Carol." Students were given Logitech Crayola Pens to enhance drawing, worked with shapes and images to create customized images. They also used some green screening affect using instant alpha. Students of all levels were extremely engaged wanting to continue working passed the bell. Next step is to add text, audio and share out as a ePub. Students were studying football in PE. So using Magic Move in Keynote students were able to create different plays, explain them with the recording option and animate the players. The following week, students used these plays while actually going out to play football. They recording each other. Students use the Sphero Coding Robots to create a code that will allow the sphero to stop at specific locations on the map. Students can also program the Sphero so the location is read aloud. 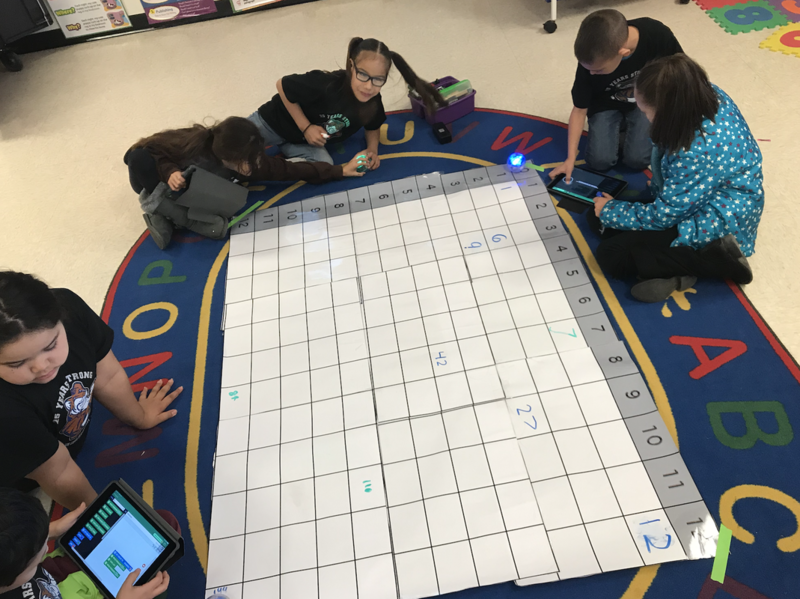 We also did Sphero Fractions where the Sphero was coded to go on a straight line represented as a number line and create stopping points at labeled fractions. Students were able to connect this to fractions on a number line, and distance comparison problems. 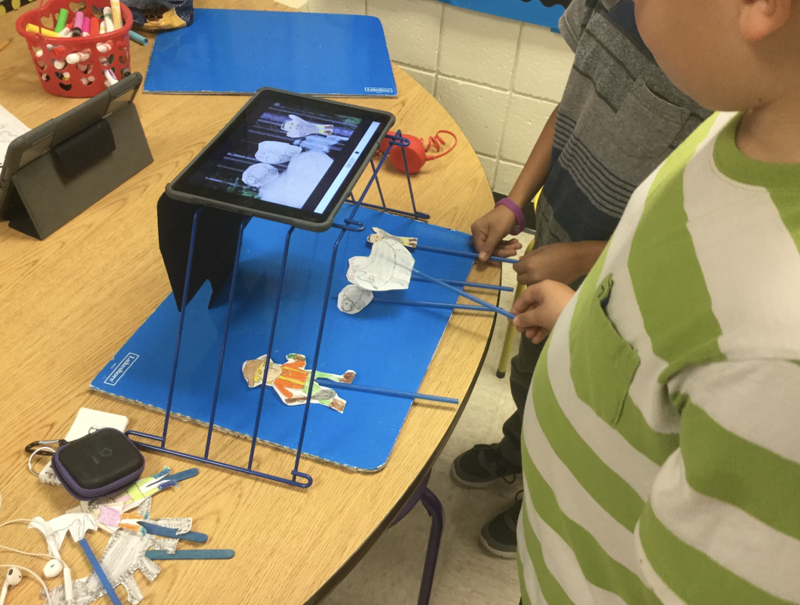 After reading short folktales and fables, students created puppets of the characters and retold the story in their own words on the DoInk green screen app. They were able to pick a picture of the setting as their background. Some students preferred to freehand draw their characters, while others would rather print off a cartoon coloring page and use it as their characters. In this example a group of 3 students worked together as a short reader's theater play. DoInk allows the backdrop screen to be any solid color so we used blue partition folders as our screen and blue popsicle sticks so student's hands were not shown moving their characters in and out of the screen. Students have been focusing on analyzing graphs. With our math curriculum students can use a graph creator tool to create their own graphs. Each student was able to set up a bar graph and ask their peers about their favorites. Students choose topics from favorite football teams, subjects, food, animals, restaurants to favorite apps and places to vacation. Giving students the option to choose their topic got them very motivated to participate. They were able to screenshot their data and record information they observed directly on Seesaw. They really wanted to do more than one survey when they completed it the first one and it was simple to share with others by posting on their Seesaw accounts. 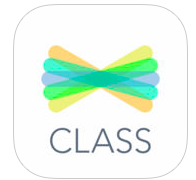 Seesaw now has a new feature that allows teachers to assign activities to students! Activities can be picked from pre-made ones or created on their own. Today I assigned students a Fable Passage and questions. They were able to open the file, read the passage, then type out the questions with the label option. It worked out great because they didn't have to jump around from app to app. 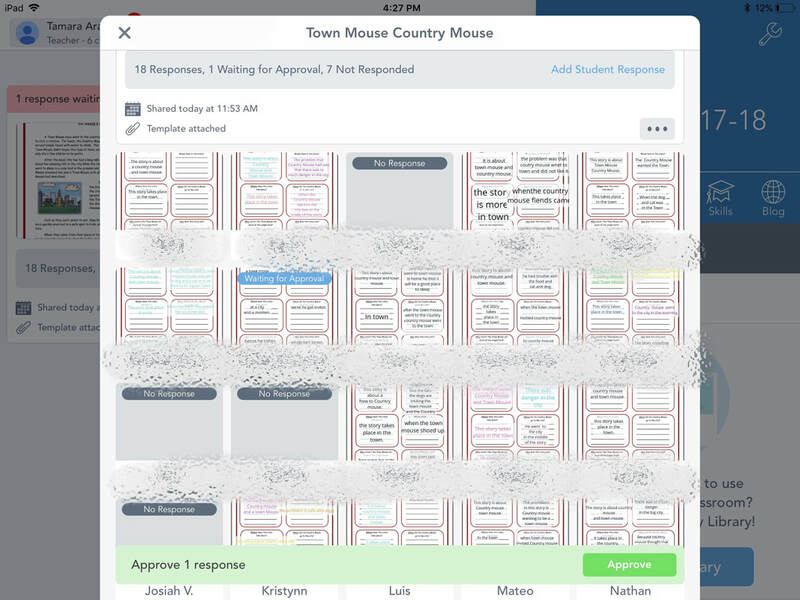 I am hoping to use this activity option to assign students their center work, because directions can be given audio, scaffolds are provided in front of them if needed and I can quickly check who still needs to finish what activity. Students love the "Write About This" app. This app allows students to choose a writing prompt from the numerous options, type a response, and record their writing. They are able to showcase their work to SeeSaw or export it into their Camera Roll, create a QR code and share amoung others. They can also create their own writing prompts with a related picture. This can work great as a writing sample, in a center or for a final draft. This month we have started our fable unit. Students must be able explain how the moral of the story is conveyed through key details in the text. To do this students were given a fable, read it and highlighted on the paragraph that wraps up the lesson learned. 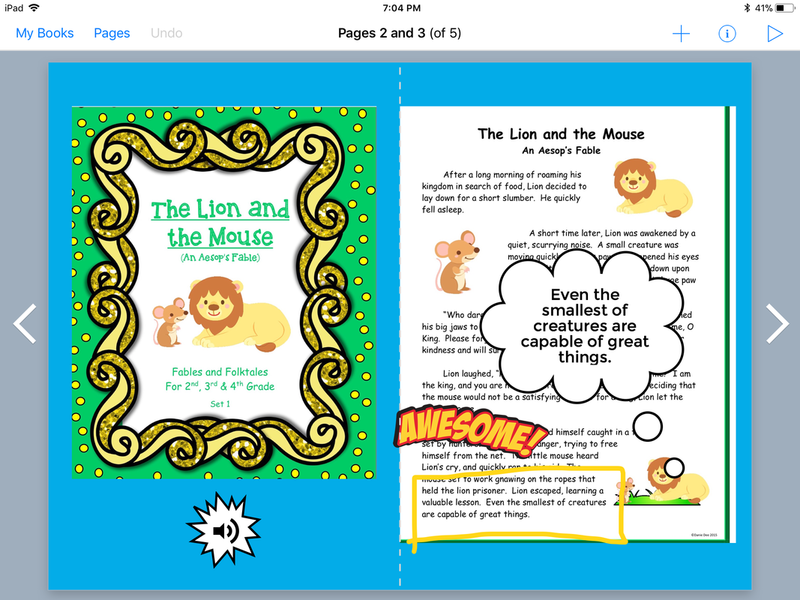 Using Book Creator and picking the comic mode students are able to add stickers, speech bubbles, voice recordings and pictures to help connect to the text. These "Book Snaps" continue to be made throughout the unit on different fables highlighting on the moral. Students really enjoyed creating this digital book to be shared with others. Students love responding to text using the app Flipgrid. This app allows students to record a video response, post to a wall and view others. It is great because everyone has a voice and can be shared across the room without having to call on one student at a time. I also enjoy using it as quick 5 minute exit tickets. Students have been working on writing opinion pieces. For this assignment student picked their favorite food and using the OREO template they completed a writing in which they wrote in Pages, found pictures and created a presentation on Clips. On Clips they were able to use the closed captioning feature to edit their writing while reading it aloud and match it to their visuals. Students enjoyed being able to connect multiple visuals to their writing and use the closed captioning tool in order to make edits and revise words and add punctuation. Students have been talking about careers and community helpers in our own community. This gave me the idea to FaceTime our local dentist for a quick virtual field trip. Students were excited to get a tour of the offices and see the tools as well as how all staff member contribute to their job. 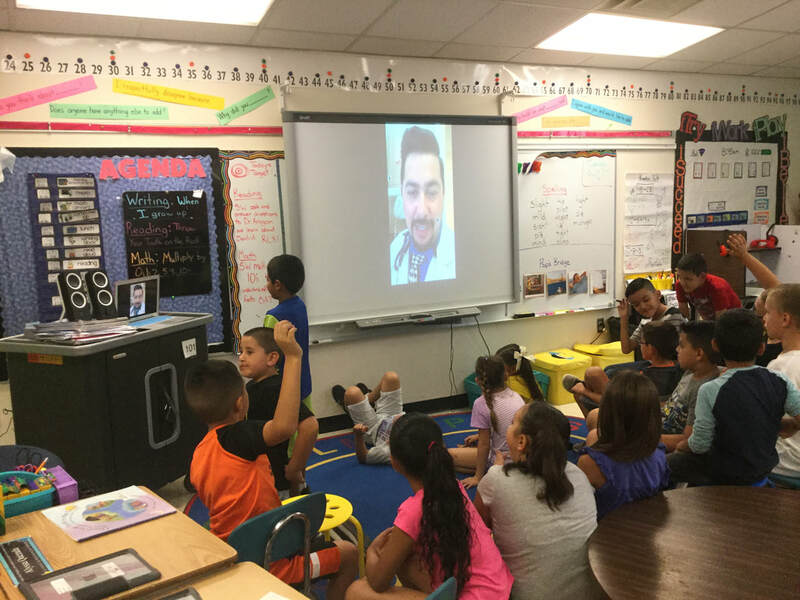 The dentist was pleased to hear from the students and got a chance to ask and answer questions. After reading Pop's Bridge by Eve Bunting, and different text about bridges/building we focused on the essential question-Why is everyone's role on a project important? This opened the opportunity to building a culture of collaboration, which is important for any job and the future. In this collaborative project each student was assigned a job; manager, data keeper, videographer and architect. The task was to build bridges out of spaghetti and collaborate to be successful as a team. It also became a fun science experiment or STEM project as they had to observe how many pennies certain bridges could hold. If students wanted to switch roles they had to ask the manager. The manager kept students focused and on track of what to do next. He or she also tested the bridge using the pennies. The data keeper was given a template made on numbers to record the data. The videographer filmed the experiment and then airdropped the video to the data keeper to put in the template as well. The architect built the bridge. Students were so involved into the task as well as their assigned role, it was engaging and fun! They recorded a reflection answering the essential question and added it to the template. With a little bit of time at the end students were allowed to build their own bridges with the given materials and problem solve while sharing strategies and ideas.